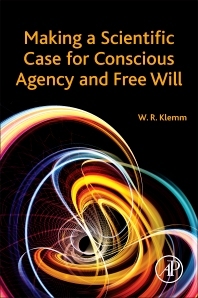 Making a Scientific Case for Conscious Agency and Free Will makes a series of arguments that certain human behaviors are impossible to explain in the absence of free will, and that free will emerges from materialistic processes of brain function. It outlines future directions for neuroscience studies that can harness emerging technologies and tools for systems-level analysis. All humans have the sensation that they consciously will certain things to happen and that, in the absence of external constraints, they are free to choose from among alternatives. This notion of free will is deemed obvious by the average person based on common experience. Free will is frequently defended with arguments stemming from social, legal, philosophical, and religious perspectives. But these arguments appeal to consequences—not causes—of choices and decisions. In the past 3 decades, debate has raged within the scientific community over whether free will is in fact an illusion. Because free will would require conscious agency, the supporting corollary is that consciousness itself cannot do anything and is merely an observer rather than an actor. As a Professor of Neuroscience at a major research university and a widely published and cited researcher, Dr. Klemm is a Texas A&M and Sigma Xi "Distinguished Scientist," a Distinguished Alumnus of Auburn University, and is listed in 19 biographical publications, including Marquis’ Who’s Who In America and Who’s Who in the World. He has impressive research credentials and can speak with authority about brain and behavior, having been enlisted as a reviewer for 45 scholarly journals and the Editorial Board of 12 journals and a university press. He has published 54 book chapters and 19 books. His most pertinent recent book is Mental Biology, The New Science of How the Brain and Mind Relate (Prometheus). He is a paid writer for Psychology Today. He posts on two blogs that have over 1.5 million reader views. Well written and helpful. We need more books like this.